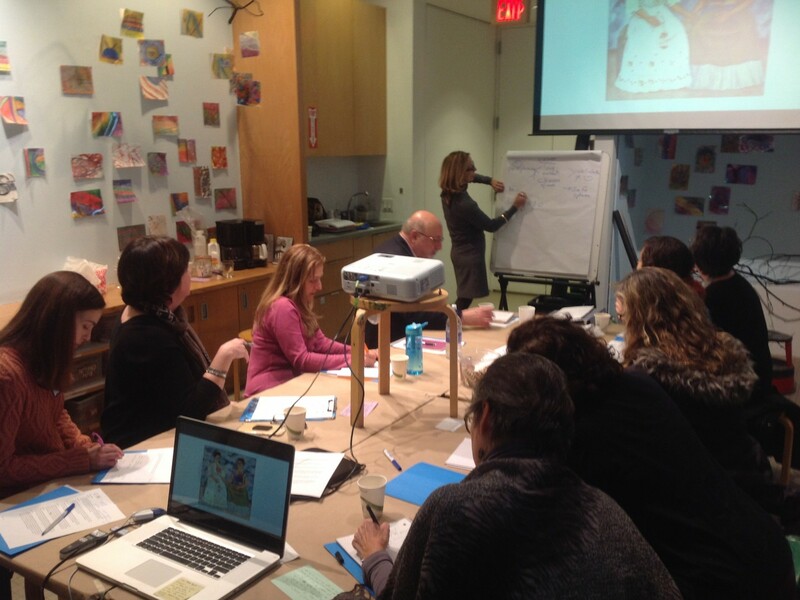 The Katonah Museum of Art and the Neuberger Museum of Art partnered to host a professional development institute in February, 2016. Participants included ESL instructors from Westchester Community College, Southern Western BOCES, Parsons School of Design, and Stonybrook University. After two immersive days of active participation in the CALTA21 pedagogies and curriculum activities, attendees left with new practices and ideas to bring to their classrooms. It is a deeply rewarding experience to see participants exploring their own professional and personal selves while looking at art and sharing their personal stories.